The Jewish Federation of Atlantic and Cape May Counties is the umbrella organization for the organized Jewish Communities. The Federation cares for those in need, rescues those in harm’s way and renews and strengthens the Jewish people in our area, in Israel and in 33 nations around the world. By participating in the Federation’s programs and policies, individuals can contribute to two pillars of the Jewish faith: Tikkun Olam, the healing of the world and Tzedakah, righteousness. The Federation of Jewish Agencies was established in March 1936 to serve the Jews of the Atlantic City area by providing coordinated cultural, educational, philanthropic, religious, social, and welfare services to the local Jewish community through fundraising and programming. Its chief goal was administering annual giving campaigns through the annual campaign, on behalf of the national United Jewish Appeal. Incorporated in March 1982 as Jewish Federation of Atlantic & Cape May Counties to address the diverse needs of the local, national, and international Jewish communities, and promote Jewish culture and heritage, it is the representative umbrella organization for Jews living in Atlantic and Cape May counties. 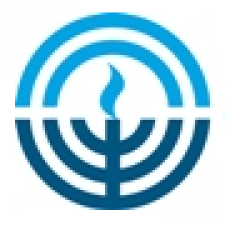 Jewish Federation of Atlantic & Cape May Counties assumes an active leadership role in the cultural, educational, religious, social, and social welfare needs of the Jewish community. It is active in the advancement of local, national, and global Jewish interests, particularly with respect to Israel and vulnerable Jewish populations around the world. Jewish Federation develops and sponsors programs for individuals and the community to realize and fulfill the mitzvot of Chesed, Tzedakah, and Tikun Olam. In cooperation and partnership with its affiliate agencies, local congregations, community groups, and volunteer-driven community organizations, Jewish Federation’s dedicated leadership, volunteers, and professional staff work to disseminate information and develop programs and services that create awareness and understanding of issues important to all Americans, of all ethnicities, including anti-Semitism, Holocaust education, discrimination and racism, the fight against international terrorism, human rights, and poverty. Our long history in this community is the gift of support, philanthropic and physical, extended to us so generously over the years by members of the Jewish communities of Atlantic and Cape May counties. We hope this gift, and the strength of One Jewish Community, endures for many years to come. OUR MISSION: To promote the well-being of a vibrant Jewish community; to develop and sustain the leadership of the Jewish community; and to nurture and support the Jewish communities locally, in Israel, and around the world, through the values of Tikun Olam (repairing the world), Tzedakah (charity and social justice), and Torah (Jewish learning). support for Israel and national and international Jewish community interests. Brandeis Society – recognizes the exceptional generosity of legal and financial professionals in our community, pays tribute to professionals who contribute $1,000 or more to the annual campaign, and works to advance and enrich both the personal and professional interests of its members through philanthropy, social action, and continuing education. Hillel at Stockton – offers an array of Jewish opportunities to students at The Richard Stockton College of New Jersey and Atlantic Cape Community College ranging from social justice to Israel, and from Jewish culture to Jewish religious expression. No matter what your interest or Jewish background, Hillel at Stockton is here to get know each and every Jewish student by name and story, to help connect you to the next set of experiences, communities, and relationships that will transform you into Jewish adulthood. Israel Center – works to build and maintain a living bridge between our Jewish community and the State of Israel, highlighting its accomplishments and people. The Israel Center serves as an educational resource in the community, bringing the culture and uniqueness of Israel to various events, and focusing on Israel-related programming for all ages to encourage pro-Israel advocacy (hasbarah). Jewish Community Relations Council (JCRC) – serves as the central coordinating and resource body for the Jewish community to foster joint and cooperative action to promote equality of opportunity and full civil rights and civil liberties for Jewish and all other racial, religious and ethnic groups; encourage amicable relationships, mutual understanding and respect among groups; help create and maintain conditions conducive to encouraging the continuity and vitality of Jewish living in a pluralistic society; protect and strengthen the rights and interests of the Jewish community; combat anti-Semitism and every other form of racism or group prejudice; develop an intelligent and effective public opinion within and outside the Jewish community on Jewish community relations issues, problems, concerns, and commitments; and provide a forum for Jewish communal leadership to exchange views with key local, regional, and national public officials. Lion of Judah Society – an international society for women who contribute $5,000 or more to the annual campaign during a given year. Introduced in 1972, thousands of women around the world proudly wear the beautiful Lion pin in recognition of their unwavering commitment to the Jewish community. More than 30 women in our community are members. The Lion of Judah program has brought together women of all ages and from many walks of life to play an essential role in creating social justice, healing the sick, feeding the hungry, preserving human dignity, and building Jewish identity. Maimonides Society – recognizes the exceptional generosity of healthcare professionals in our community, pays tribute to healthcare professionals who contribute $1,000 or more to the annual campaign, and works to advance and enrich both the personal and professional interests of healthcare professionals through philanthropy, social action, continuing education, and by offering site visits and other programs to learn more about the lifesaving services supported by members. Partnership2Gether (P2G) – the peoplehood platform, previously known as Partnership 2000, that connects 550 communities around the world in 45 partnerships, successfully partnering global Jewish communities with communities in Israel. P2G builds living bridges among these communities – sharing ideas, strengths, challenges, and models of success – and empower one another to generate waves of change. P2G’s impact goes far beyond the community level—each of us has the opportunity to become directly and personally involved. More than 300,000 participants from Israel and the overseas communities take part in 450 programs each year. Atlantic and Cape May counties are part of the NJ-Delaware cluster partnered with Arad/Tamar in the Dead Sea region. Pomegranate Society – an international society for women who contribute $1,800 to $4,999 to the annual campaign. It celebrates women taking a hands-on approach to philanthropy, and, beyond raising money, serves as a catalyst for women to perform mitzvot. The significance of the pomegranate is that it is said to have 613 seeds, representing the 613 mitzvot of the Torah. Young Leadership Division (YLD) – creates, supports, and sustains innovative opportunities for young adults and families through education, engagement, networking, social action, and philanthropy for the purposes of community building and leadership development. * Indicates a member is deceased.